Complex real-world search and optimization problems have been divided up into different problems (divide and conquer strategy). But existing interdependencies between the sub problems are typically not regarded sufficiently. Therefore those plans have to be coordinated. The field of coordination has been covered by a number of academic fields. An important result is, that there exists no universal method. Consequently, a suitable coordination mechanism has to be identified for each single coordination problem. This selection problem has not been addressed up to now. Therefore the ECo process is presented in this book. Coordination mechanisms have to respect the context in which the coordination has to be done. This is encoded in coordination requirements that guide the selection process. Additionally, we present a new classification scheme that orders existing coordination methods according to a set of criteria relevant for re-use. The implementation of coordination mechanisms is supported by the CoPS process and framework. The CoPS process structures the decision making during the implementation phase. The CoPS framework provides a set of basic features software agents need to realizing coordination methods. 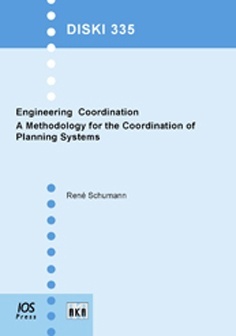 Within the CoPS process techniques are presented for the design and imple- mentation of conversations between agents that can be applied not only within the context of the coordination of planning systems, but for multiagent systems in general. The ECo-CoPS approach has been successfully validated in two case studies from the logistic domain.